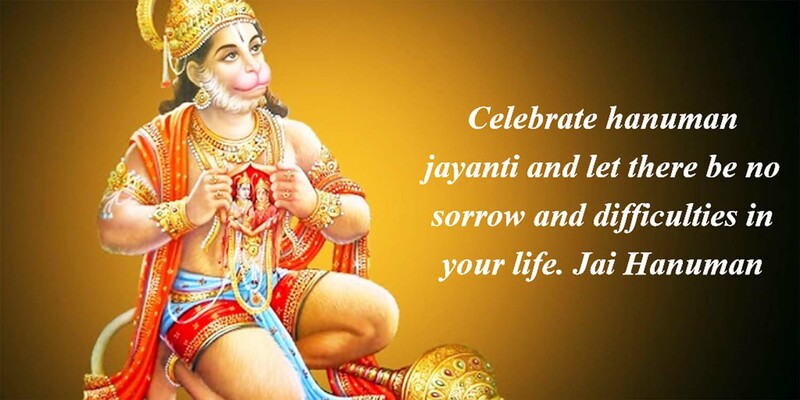 Presenting here some beautiful Happy Hanuman Jayanti wishes, SMS, Quotes and wallpapers in English you would love to share with your loved ones. 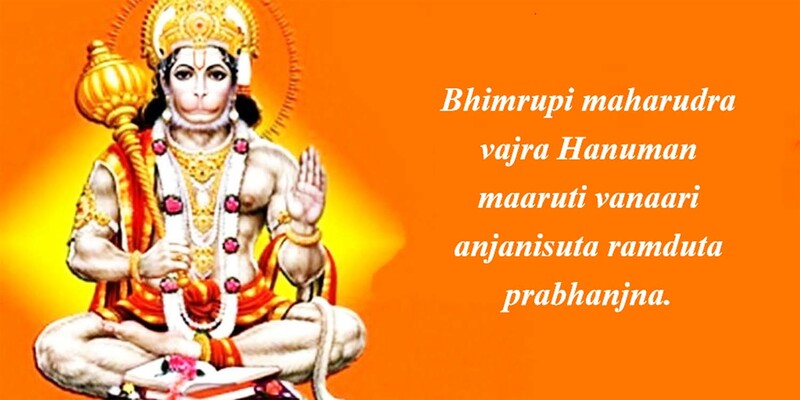 Lord Hanuman is an ardent devotee of Lord Rama. 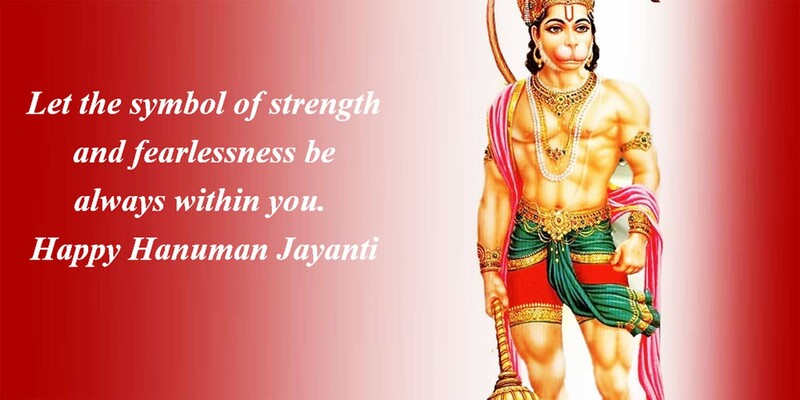 He is viewed as the ideal combination of "strength, heroic initiative and assertive excellence" and "loving, emotional devotion to his personal god Rama", as Shakti and Bhakti. In later literature, he has been the patron god of martial arts such as wrestling, acrobatics, as well as meditation and diligent scholarship. 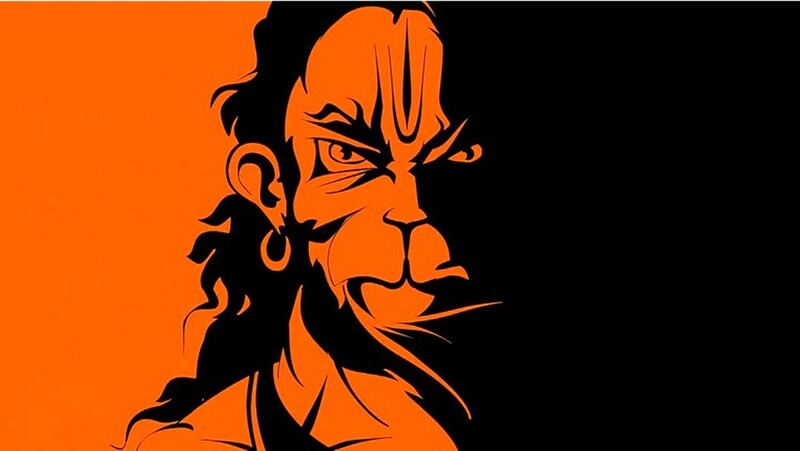 He symbolizes the human excellences of inner self-control, faith and service to a cause, hidden behind the first impressions in the avatar of a monkey. On the 15th of shukla paksha in the month of chaitra, on his birthday, all the devotees offer him prayers and seek blessings and protection from all evils. 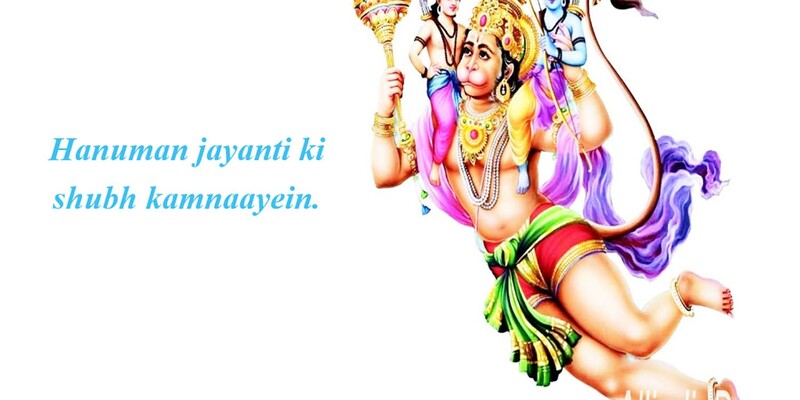 Hanuman Jayanti is a very auspicious and important day for the hindus where they celebrate it by chanting hymns and especially the hanuman chalisa. 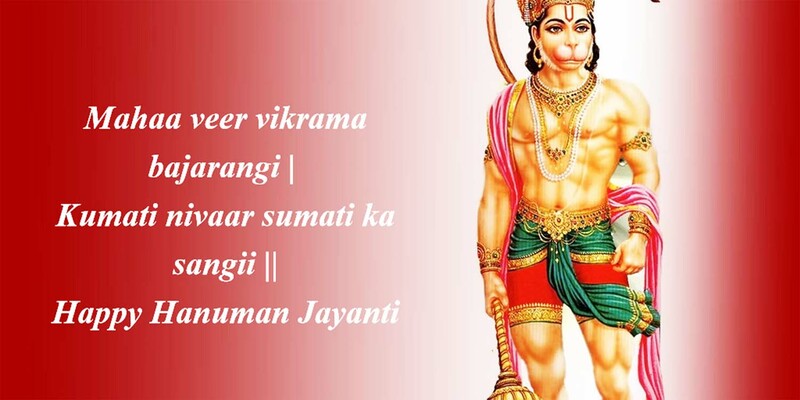 It is also said that chanting the hanuman chalisa brings fearlessness into human minds during difficult times or when frightened. 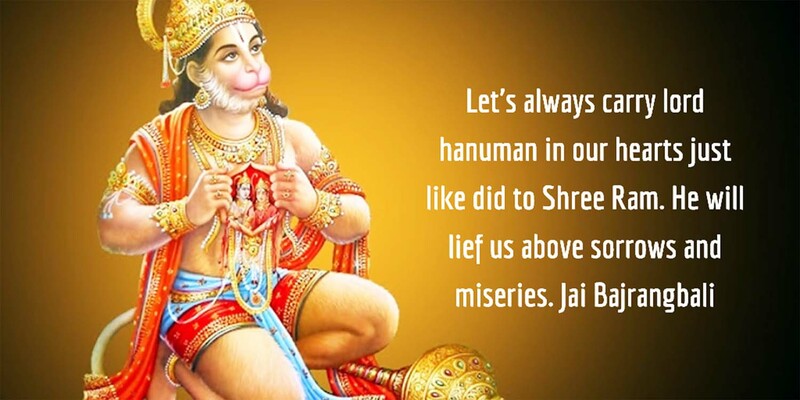 There are various hanuman jayanti wishes wallpapers, hanuman jayanti sms and hanuman quotes in English if you want to forward to the true bhakts of shree hanuman. 4. “Bhimrupi maharudra vajra Hanuman maaruti vanaari anjanisuta ramduta prabhanjna." 9. 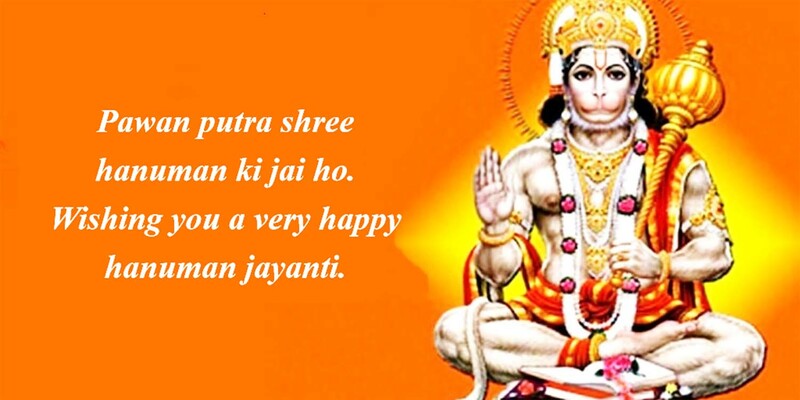 "Wish you prosperity and harmony on this event of Hanuman Jayanti. Jai Hanuman"